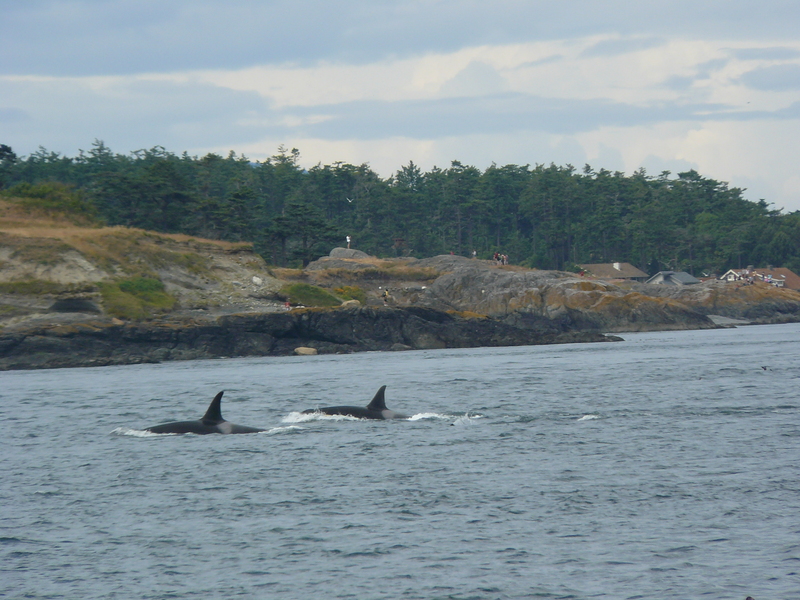 Heard reports of Orca Whales by Anacortes at 9am, then in Rosario around 1pm, then heading west, south of Lopez at 2pm, in the Strait of Juan de Fuca, where we watched groups of J-Pod going by Cattle Pass at about 2:45pm! They slowed down as they hit Salmon Bank, as they typically do, spreading out, milling about, tail fluke slapping, rolling, and foraging in the strong 10+ flooding tide. 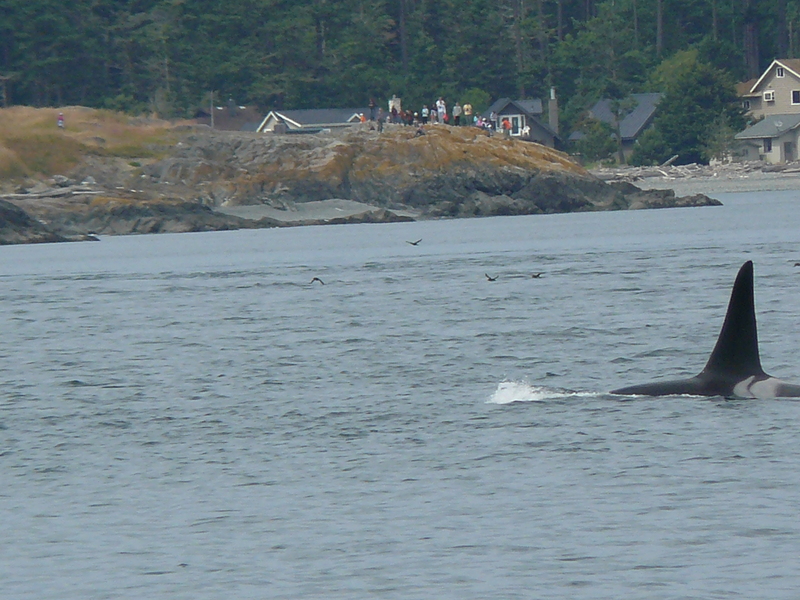 Young whales breached passing Cattle Point Lighthouse! 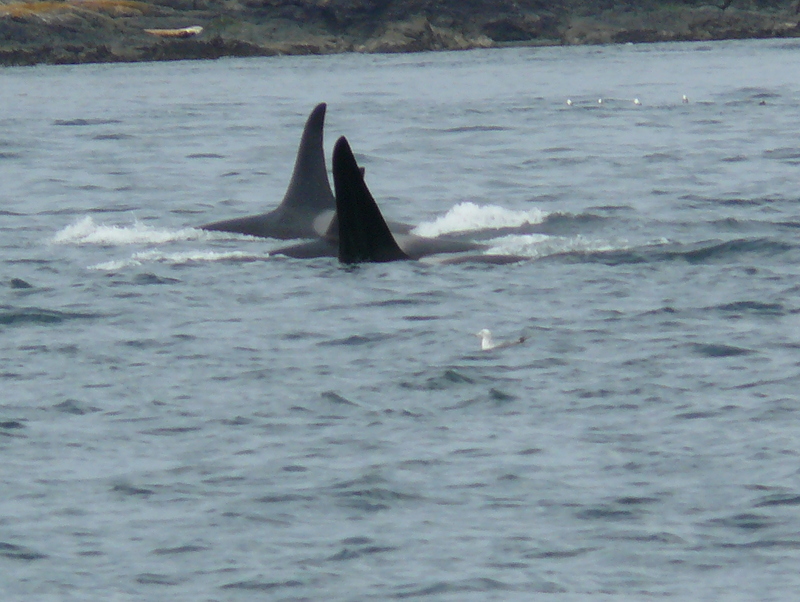 Mom-calf pairs stayed closer to shore, as they often do. I ID’d J-27 Blackberry, J-31 Tsuchi, J-22 Oreo and her kids J-38 Cookie and J-34 DoubleStuf, J-28 Polaris with 2 year old daughter J-46 Star. 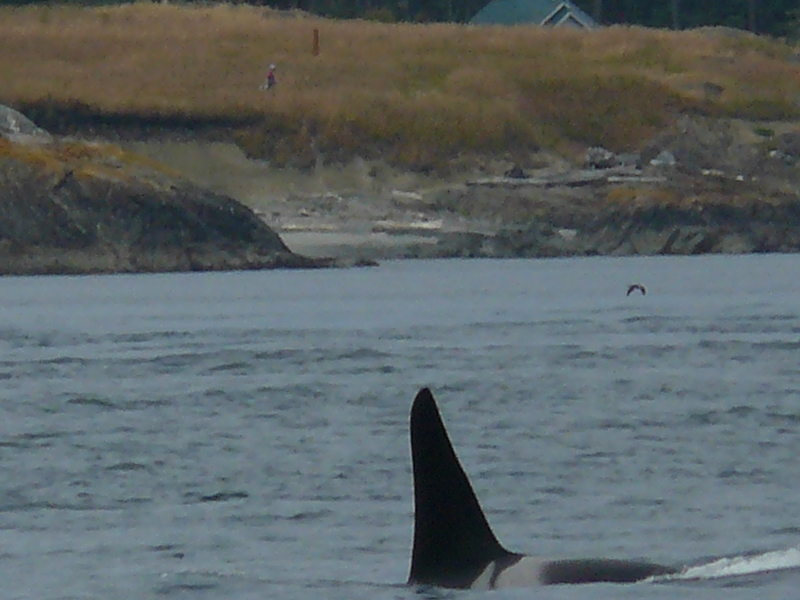 We thought we spotted J-26 Mike, by his left leaning dorsal fin, up with a group off of Granny’s Cove. The sun came in and out, the water was like a pond. Now 4:15pm, a juvenile Minke whale (Christy Hynde-Bank’s calf?? 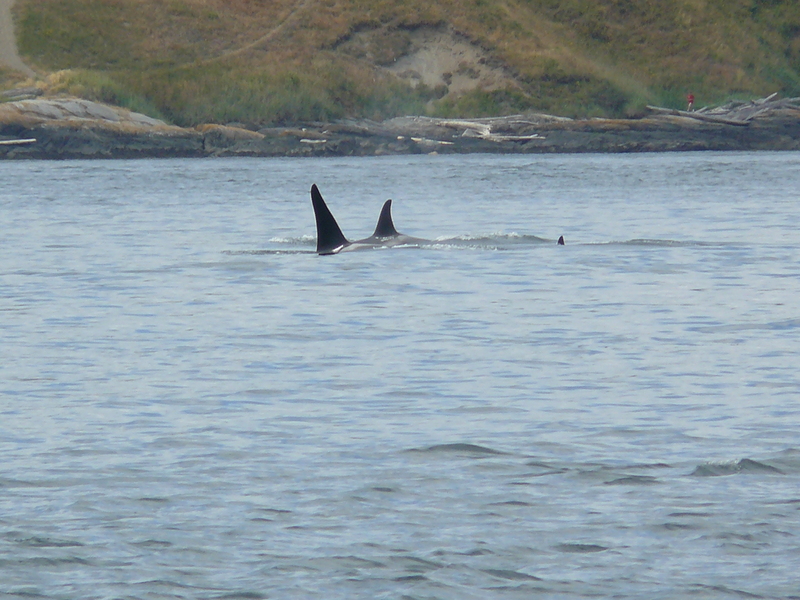 Minke calves spend about 6 months with mom) foraging by Salmon Bank! 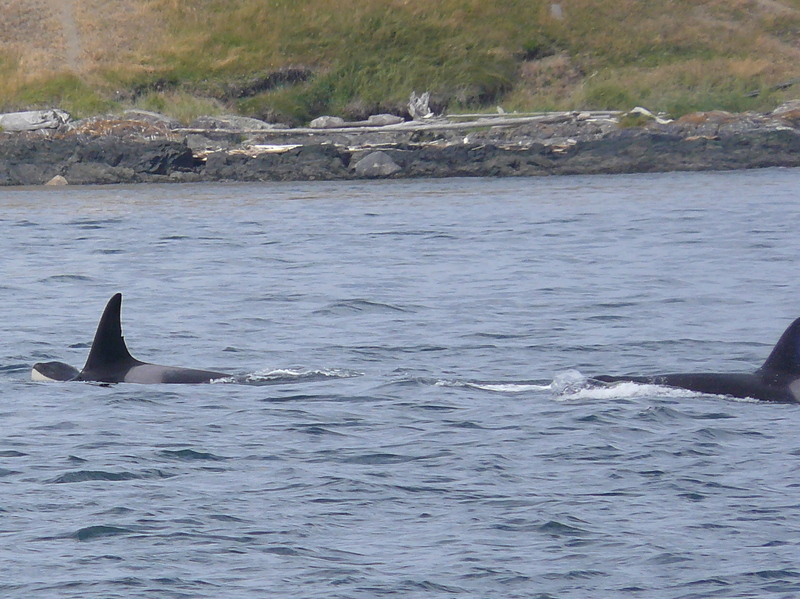 I wonder if the Minke socialized with J-Pod, like the one did last season? 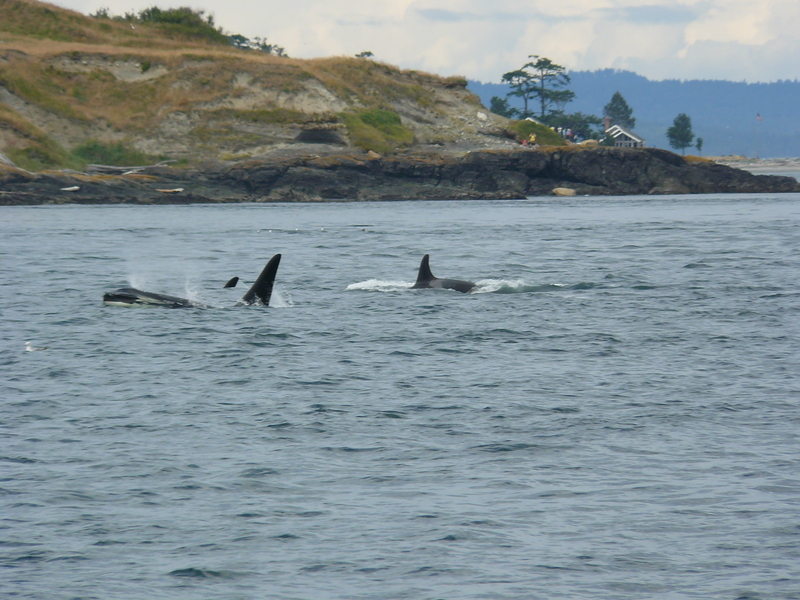 Marine birds, Bald Eagles on Long Island, Harbor Seals and Harbor Porpoise in San Juan Channel, showed all the ‘stars’ of the Salish Sea! J-28 Polaris with 2 year old daughter J-46 Star!